Pretty, they were not. 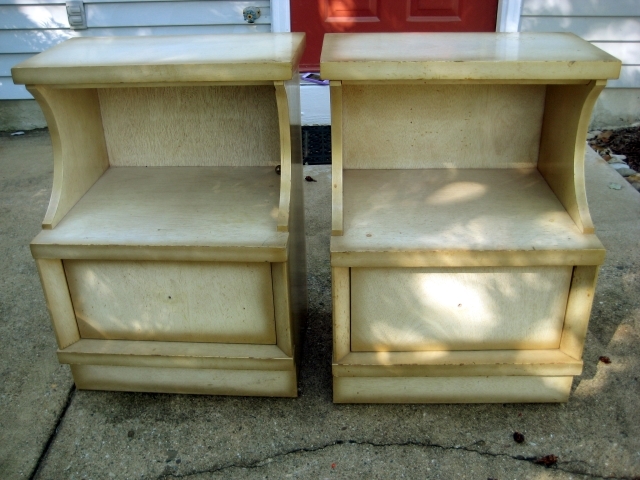 But they did have great lines and were solid wood, and for $10 each, she was sold. She figured that if she messed them up, there wasn’t much of an investment. We stopped by the hardware store, and talked to the paint people. There was a pretty shiny coating on the stands, in addition to some pretty deep scratches. It looks like they belonged to a child at some point, who liked to carve into the wood with a pen. 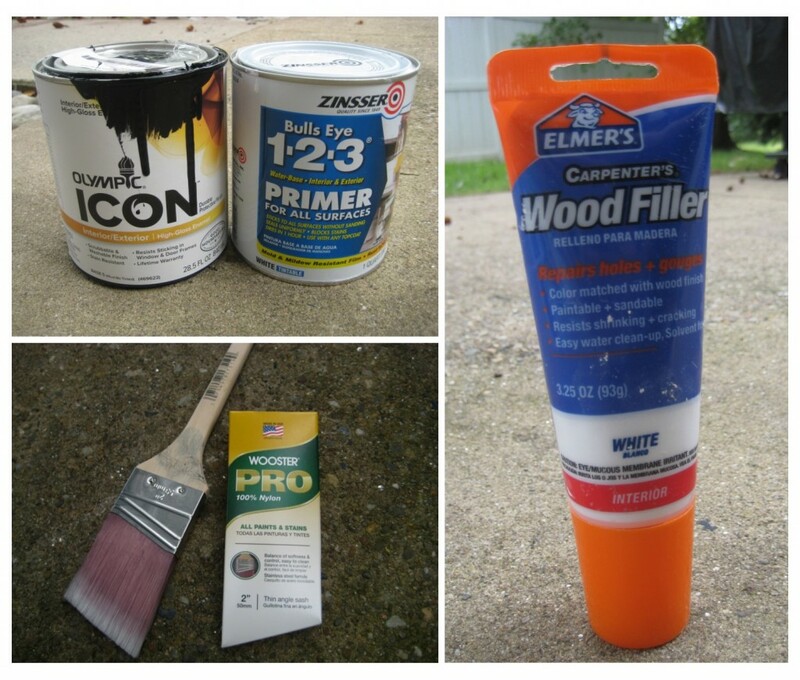 We picked up some wood filler, medium and fine grit sandpaper, a primer, some glossy paint, and a nylon brush. 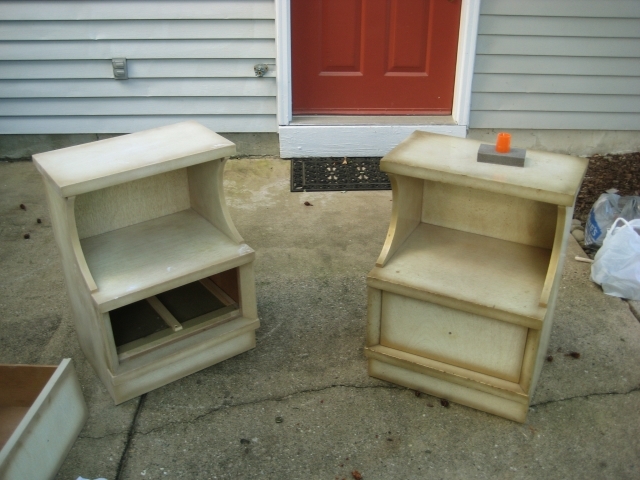 We also were able to find some replacement knobs because the original knobs were way too small, and the wrong color. It’s amazing how a small thing like drawer pulls can make a huge difference. She found some that were in brushed nickel which would match the upholstery tacks on their bed. TIP: if you have questions about a project and are heading to the hardware store, bring the item or part of the item with you. We dragged in the drawer, which had the coating that we were looking to get rid of, and we able to try out the drawer knobs while we were there. It is a lot easier than trying to explain. 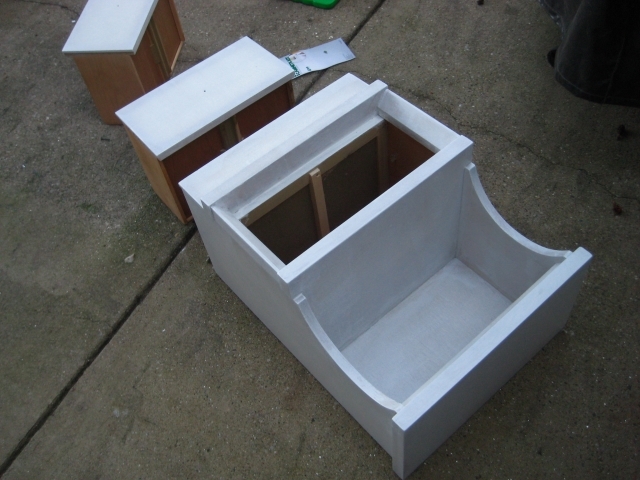 Looking back, Diane mentioned that she wished that she had taken the time to sand in between the primer and the first coat of paint. If you do plan on doing this, use a fine grit sand paper. She didn’t, and said that they came out great anyways. She said that the high quality nylon brush applied everything very smoothly. She had originally bought a foam roller, which was recommended by someone at the hardware store, but she found that it left tiny bubbles. Make sure you check back tomorrow to see the final product! 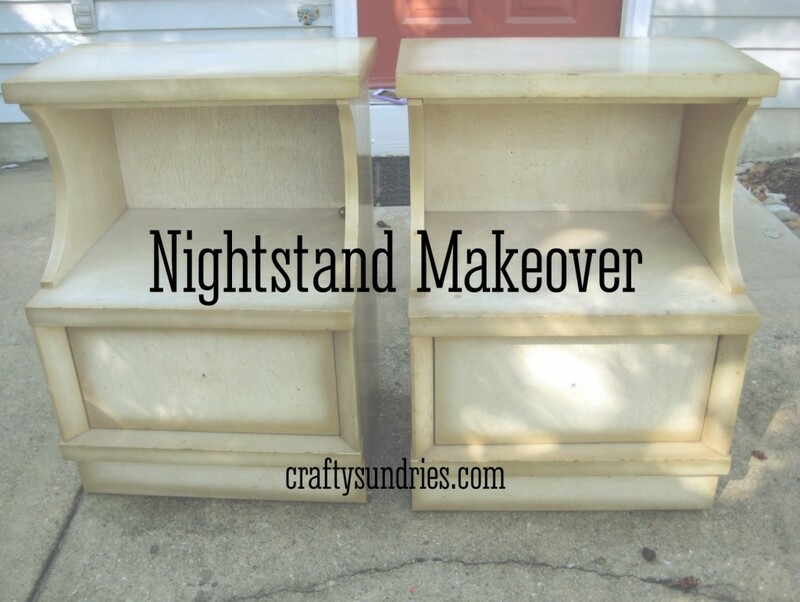 This entry was posted in crafty, home, my crafty friends and tagged Crafty Friends, Drawer (furniture), Gloss (paint), Home Improvement, Paint, Sandpaper. I can’t wait to see how they turn out!